This is just a quick email to let you all know that from this point on I’ll be taking on the role of managing the box leagues, with help from Martin when necessary. So if you run into any issues regarding the boxes don’t hesitate to get in touch with either of us. The new box rotation is now published, with the box sizes (mercifully) reduced in size! From this point on they will run for 5 weeks. This should help with making sure everyone gets the chance to play all of their matches, as in general it averages as one match a week. At the end of each rotation I’ll be announcing the biggest points winners, and special mentions for those in all of the leagues who have managed to take the bonus points for playing all of their matches as well as some other fun facts and figures for those that care. James Crowhurst, Tom Blakeman, Paul Wynne, Ben Anderson, David Naylor, Andrew Widelko, Archie Niven, Sophia Grant, Angela Hopkinson. Entries to Sophia on 07459307944 or Email sophia.grant@gmail.com by the 12th November. 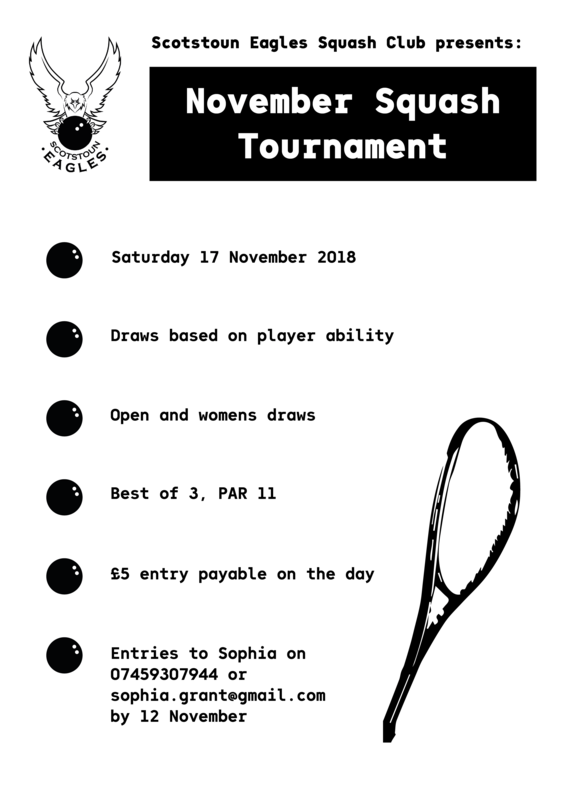 Entries open to Scotstoun members only. Team results from week 4 have Scotstoun flying high on several fronts with some great results along the way! 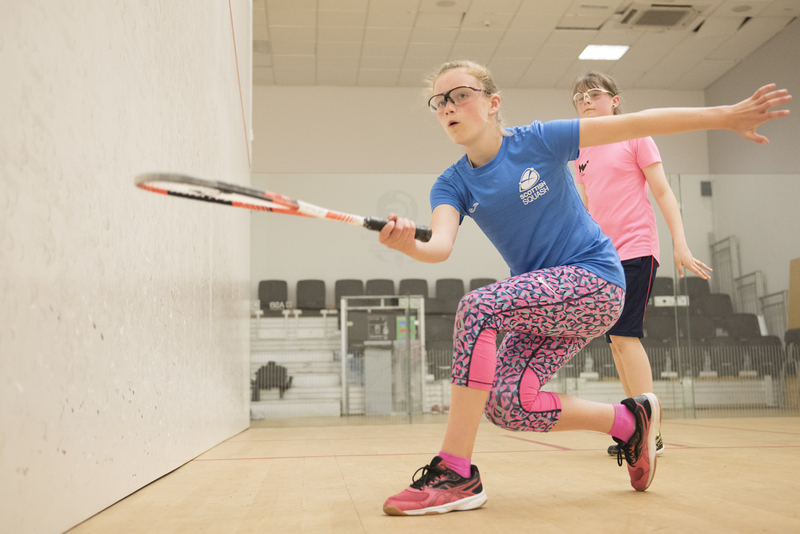 Remember, we’ve got our regular matchplay and coaching sessions on every week, where everyone is welcome, so come on down!